It's important for you or your students to have a good, quality training sword to hone fighting skills with. 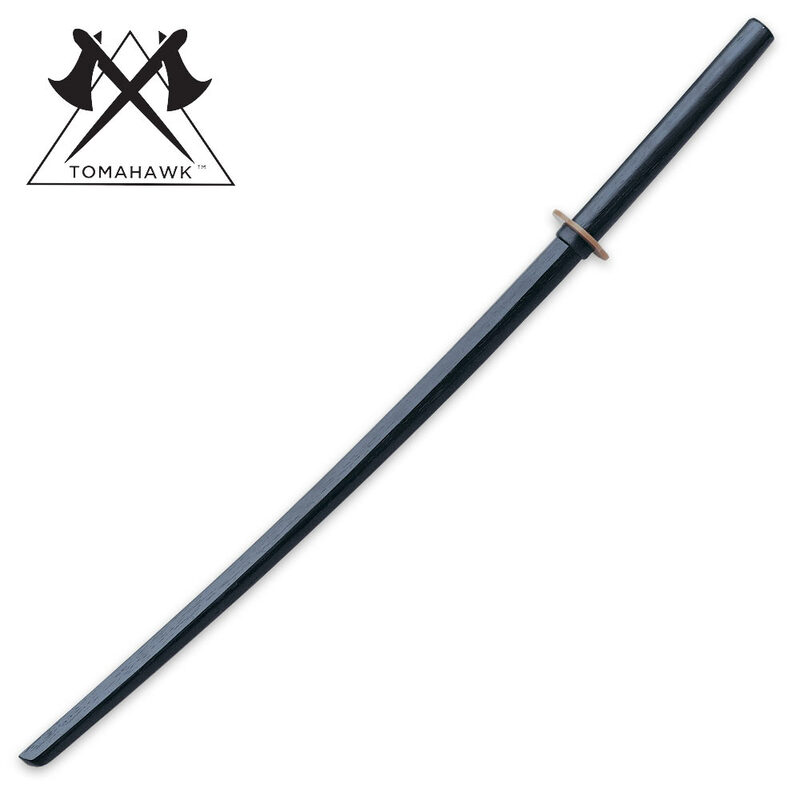 This black wood training daito has a solid construction and is 40" in overall length.It features a tsuba just like a real sword. It is a great item for the intense training required to master the art of sword fighting! Very pleased. This will be perfect for introducing actual swordfighting to my daughter. She already knows its balance and is adjusting to its weight. I like these swords because they can take a beating. I bought some a couple of years ago and am just now needing more. However, if you want them to last longer duck tape the blade part and then go buy some cheap noddles (the kind you float on in the pool) at Walmart and slide them over it. 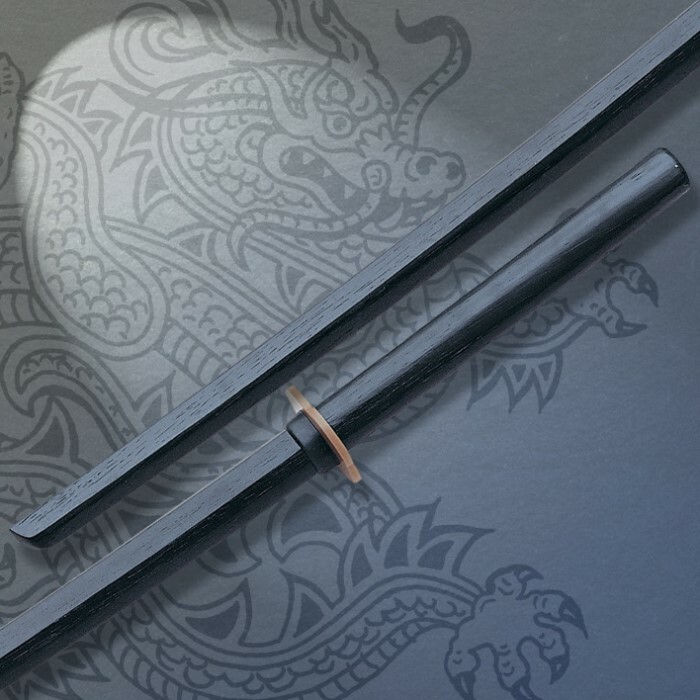 With the noodle on the sword we can actually hit each other to get a true feel for it. My kids love it, now they have "Jedi" swords which make sword fighting so much more fun for them and their friends. My only problem is the $13 price tag. When they were $6 or $7 each I bought 4 or 5 of them. Honestly at the $13 price tag I might as well walk into Home Depot and make my own. Bring the price back down guys I will buy more from you. A very popular wooden sword for practicing forms or light sparring.